A pretty great and epic feeling film about the french and indian war and two people from different walks of life who get caught in between it. 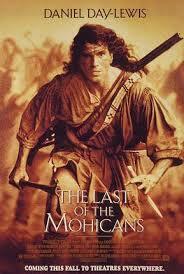 The Last of the Mohicans is a pretty cool movie. It is far better than something like dances with wolves or Lawrence Of Arabia, simply because of it’s length. Whereas those other movies are over three hours, this one comes in at closer to an hour and a half. With half the amount of running time, that means the movie needs to get to the point much faster, and this movie does. It still feels epic, only it doesn’t need a massive amount of running time to create that feeling. In other words it does the same thing those other movies do; only the last of the Mohicans does it more efficiently. The movie is about a Native American who has lived with the English since he was a small boy. He doesn’t really practice Native American customs, and in fact he even looks white. This man is Nathaniel Poe, also known as Hawkeye. He does travel with two other Native American friends, but all three of them are more interested in helping out the British than they are in pursuing their own Indian heritage. It is the time of the French and Indian war, and the British call on colonists to help them out against the enemy. The group of three Native Americans lives with the colonists and so when those people are called, the three Indians go along as well. While all of this is happening, there is also another story going on involving one of the British generals and the woman he loves. The general is Duncan, and he is in love with the daughter of one of his superior officers. That officer’s name is Munro, and his daughter’s name is Cora Munro. 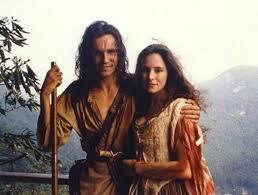 The lovely Madeline Stowe, who was so big in the early nineties, plays her. She was actually the go to actress, and appeared in tons of movies, from unlawful entry to revenge to china moon. I’m not sure how exactly she fell off the map, or if it was maybe her choice to retire, but any movie that stowed appears in his an automatic nostalgic quality. Duncan proposes to Cora and when she seems less than interested, he makes arguments for what the benefits of getting married to each other would be. She asks for time to think and then goes on a journey with him to find the British fort where her father is stationed. That’s when one of the native Americans who is with them, named Magwa, attacks and leads them into a trap where a bunch of other murdering native Americans are hiding. Hawkeye and his Indian brothers aren’t far off and they come to the rescue and fight off the attacking tribe. That puts him in the boat with Cora and Duncan. They all go together, and with a group of other who were saved from the attack, to find the British fort. When they get there, the father Munro is happy and thankful for the Native American rescue of his daughters, but then he turns his back on them in the interest of the British army. The colonists were promised that if their homes in the woods were attacked or possibly attacked, than the British would let them return home to check on their families. Now the British decide to go back on that deal. It gets to the point where Hawkeye is reporting back about what he saw when they passed some of the colonists houses, and Duncan is denying Hawkeye’s observations. When the colonists decide to sneak off, against the rules of the British, Hawkeye ends up helping them. And when the British find out, they decide that he must be hung for treason for helping the colonists escape. That’s when the romance with Cora really starts up. There are more attacks by the Native American tribes led by Magwa, and soon it is Hawkeye and a group of survivors, on the run from these enemy Indians in the woods. I love that while this movie has strong elements of romance at times, it is a historical action movie first and foremost. There’s of course the famous scene where Daniel day Lewis shouts out, “I will find you,” a couple of times, and the cool thing about it is that there’s a waterfall rushing right over and behind them. The action is great in this movie, and there’s a lot of it. In many ways it seems like this film is trying not to be conventional. Daniel day Lewis is not playing a conventional Indian, but more of a white guy with Native American ancestry. The Indians don’t use tomahawks and spears so much, but use guns instead. The romance takes a back seat to the action, and the movie isn’t overly long to the point where it loses sight of the story because of its drive for details. Instead, this movie takes all the things that those other epic films do wrong, and the last of the Mohicans does them right. This movie was directed by Michael Mann, and aside from Manhunter, it is his first big movie. This was definitely the biggest thing he had made at the time, and three years later Mann turned out his best movie of all, heat, starring al Pacino and Robert Deniro. But the last of the Mohicans shows off the guy’s raw talent. Any fool could have made this movie with an epic feel by spending time in the log cabins and going for colonial details at a slow pace. Mann does something different. He puts his emphasis on both the story and the action, instead of on the small details. He gets some powerful and riveting scenes out of this approach. Not just the battles, but also some of the conversations. When those colonists debate the British generals about letting them leave the fort, it’s just as powerful as any of the action in the movie. Michael Mann goes for intense moments like that and he gets a lot of them from this movie.